The American Federation of Teachers (AFT) wants Time to apologize for this November 3 issue cover, on newsstands Monday. There’s a technique that supposedly measures teacher quality, and you can sue public schools that fail to adopt it. Does anyone have a problem with this approach? Of course. 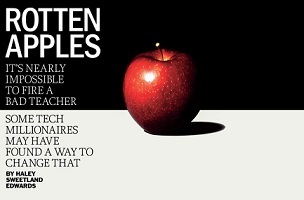 Teachers, for example, and their unions – who are, shockingly, never quoted in Time‘s piece. 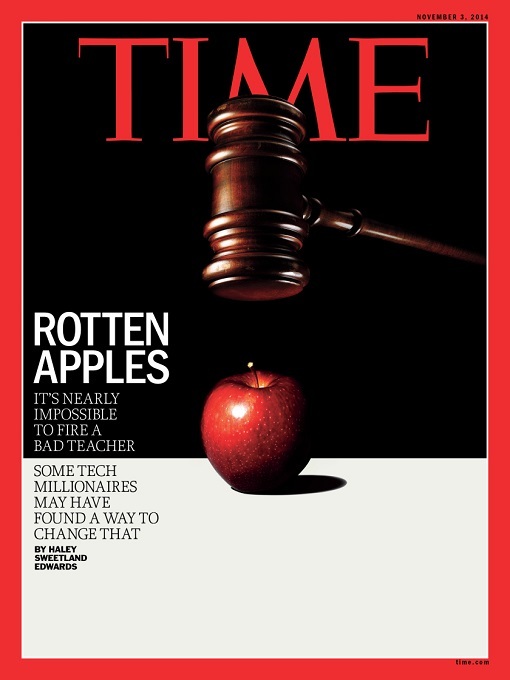 Time has nothing but admiration for America’s dedicated teachers and their commitment to excellence… Our mission is to spur discussion of important issues, and in the interest of an informed debate, I am making the story free for all readers, so everyone can judge for themselves.